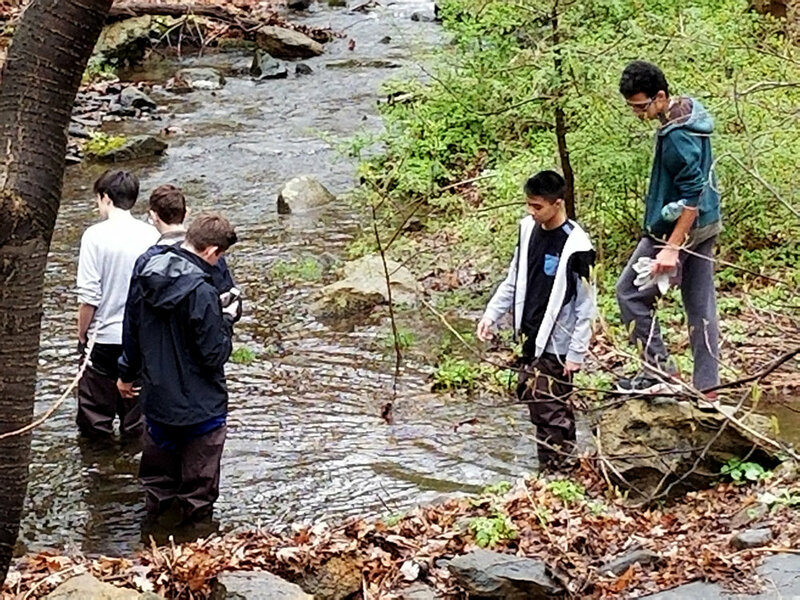 "On April 26 and 27, Form III students spent two days at Black Rock Forest gathering data for their biology projects. This year, the forest was overcast and fog-shrouded. 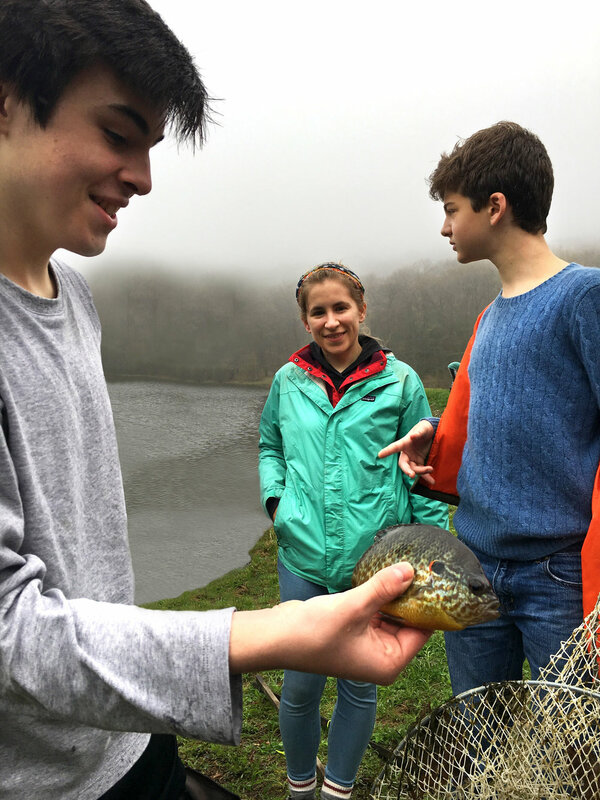 The boys studied a wide range of organisms, sampling various birch barks, learning how to drill tree-core samples, and analyzing the resistance of invasive plant species to chemicals in precipitation, to name a few activities. Boys laid turtle traps in several of the ponds of the forest but were hampered by few turtles venturing into them. Two groups of boys continued Browning's three-year effort extracting Japanese barberry -- a tough, deep-rooted invasive species -- from the environs of the science center. Field studies can be hard work, and their outcomes can be unpredictable. More predictable was the enjoyment of a night hike under a luminous layer of fog, with the calls of "spring peeper" frogs echoing around. The boys and I were accompanied by two of our science teachers, Dr. Kevin Perry and Emilie Wolf."